We are offering Instrumentation Tubes to our client. - Grade: TP304/304L, 304H, TP316/316L, 316Ti, TP317/317L, TP321/321H, TP347/347H, TP405, TP410, S31260, S31500, S31803, S32550, S32750, S32760. 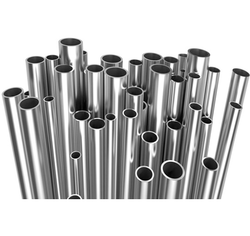 We are Importer, Stockiest, Supplier & Exporter of 321h instrumentation tubes I stainless steel 321 tubes. Form: Round, Square, Rectangular, Coil, ‘U’ Shape, Pan Cake, Hydraulic Etc. Size: all sizes & ranges available. Unit Pipe Length: as per industry requirement. Our instrumentation and control tubing encases equipment monitoring various factors such as pressure, temperature, density differences and fuel burn up rates. Fine Tubes supplies seamless nuclear instrumentation tubing in straight and coiled tube forms. 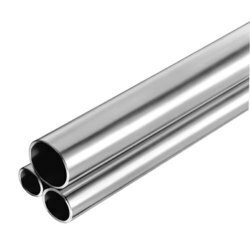 The most common material used is various grades of specially specified stainless steel. Application: Widely used in tableware,cabinet,boiler,auto parts,medical,etc. We provide these in a wide variety of sizes and models as per the exact requirements of the clients.